Distracted driving is putting emergency first responders at risk, according to a new study. A survey released this week by the National Safety Council and Emergency Responder Safety Institute found that 71% of U.S. drivers admit that they take photos and vehicles when they see an emergency vehicle on the side of the road, 60% of those were using social media while 66% send an email, all while behind the wheel. The study also found that more than 1 in 10 people say that they have either hit or nearly hit a first responder and emergency vehicle that were stopped on the side of the road. “The cruel irony is, we are putting the people who are trying to improve safety in very unsafe situations,” said Nick Smith, interim president and CEO of the National Safety Council. Firefighters attend to a car accident scene in this undated stock photo. Emergency service crews are at a much higher risk of being hit by a distracted driver as they often have to leave their vehicles and tend to highly dangerous and sometimes life-saving incidents on active roadways. 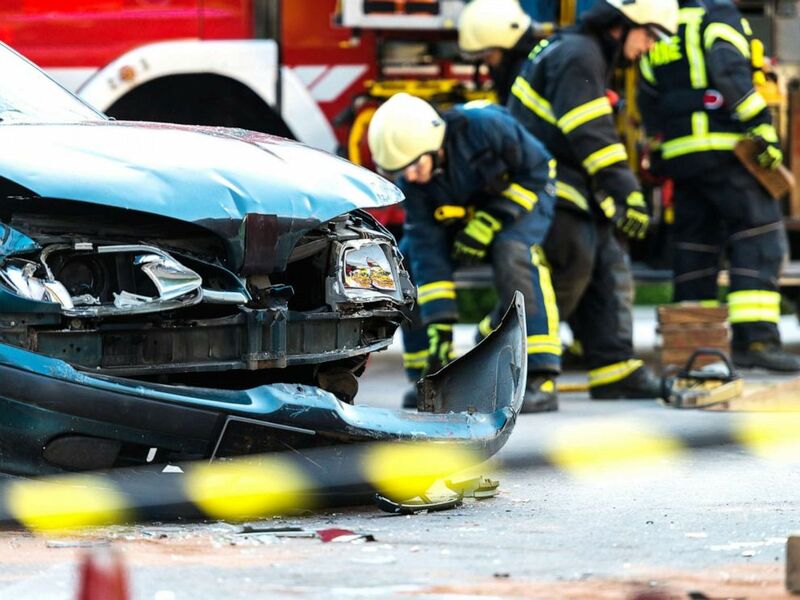 But the survey also found that almost 50% of survey respondents who were first responders say that being struck by a passing vehicle is "just part of the risk" of the job. Distracted driving has become more prevalent and has led to more accidental deaths. Pedestrian deaths have hit a 28 year high, largely as a result of distracted driving. The report also showed that almost a quarter of all drivers admit to taking photos or videos while driving and 29% admit to using social media while driving.